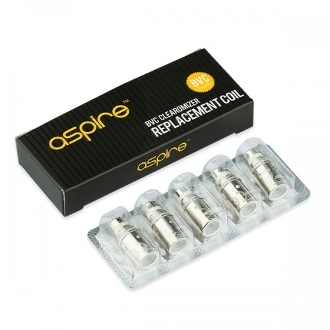 These are the replacement coils for the ET-S, Nova, Aspire Ce5, and K1. The BVC Coils come in 1.6/1.8 Ohm and have a dual coil system to provide twice the vapor. This Bottom Vertical Coil is designed with bigger liquid feed holes for a smoother vape and a true to flavor taste. The BVC Coil also eliminates the possibility of gurgling and leaking through its new structure for a clean vaping experience!